Our latest issue of Keanotes is now available. In our Fall 2018 edition, we interviewed Delaware State Escheator, Brenda Mayrack, who offered first-hand perspective and insight into Delaware’s unclaimed property compliance program, enforcement initiatives, and changes to its state escheat laws.  This issue also features an update on IRS Revenue Ruling 2018-17, a comparison of three unclaimed property uniform models, and a highlight on how bankruptcy is new territory when in reference to unclaimed property. Read the articles from our Fall 2018 issue of Keanotes.